Protein is incredibly important, and more people don’t get enough of it. If you are protein deficient, your health is likely suffering, along with your waist line. While the official DRI (daily recommended intake) of protein is .36 grams of protein per pound of bodyweight, many nutritionists and health experts agree that is quite low for many people. Especially if you are active and/or wanting to lose weight, eating a diet high in healthy protein sources is key. Protein is essentially the building blocks for all of our body’s cells, and is essential to not only survive, but thrive. Protein is made up of amino acids, some of which the body can make by itself, and others that must be obtained from food sources (essential amino acids). 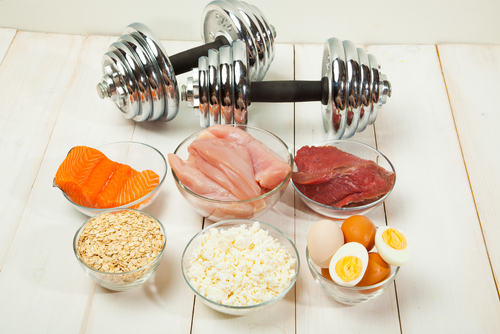 Protein is key for maintaining healthy muscles, tendons and organ function. It also works to make neurotransmitters and hormones. 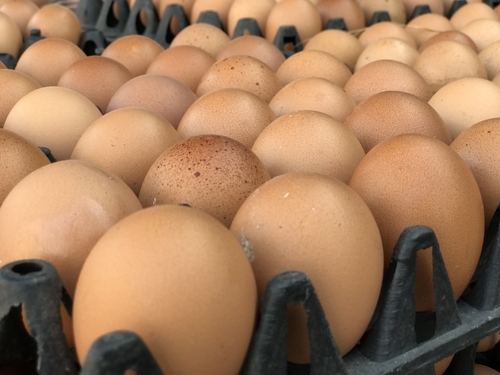 The most concentrated and nutrient dense protein sources include high quality meat, fish and eggs. Other good sources come from whole, plain dairy (raw, if possible), whole grains, legumes, nuts and seeds. You’ll get trace amounts of protein from foods that are higher in carbohydrates and fat (avocado and other veggies and fruits), but these usually don’t offer enough to meet your body’s protein requirements. How Can Protein Help Me Lose Weight? Protein is the single most important macronutrient for weight loss, as it supports hormones that regulate appetite and works to boost your metabolism. It can also work especially to help decrease visceral (belly) fat, which is important for reducing your risk of heart disease. 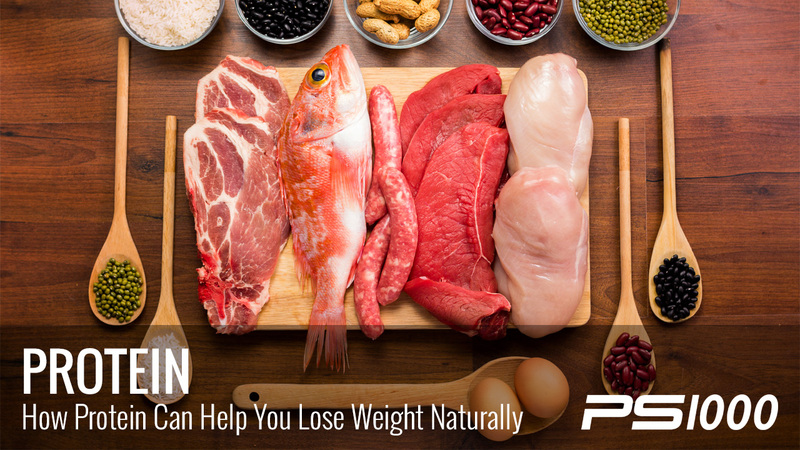 Let’s take a closer look at why eating more protein can help you lose weight. Plain and simple: fighting against your hormones is an uphill battle that you will never win. While calorie count and will-power play a role in weight loss, don’t fool yourself into thinking there’s not more to the story. Your hormones play a powerful role in your ability to lose weight, and protein helps to regulate them. Your weight is regulated by the hypothalamus of your brain (1), as it controls when and how much you eat. 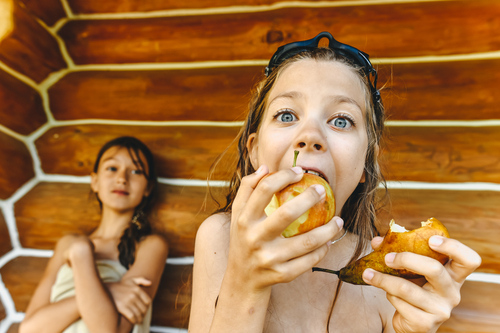 Certain hormones shift with eating, and different messages are sent to your brain. Eating protein actually works to increase the satiety hormones (the ones that make you feel full) and decrease the hunger hormone, ghrelin (2). 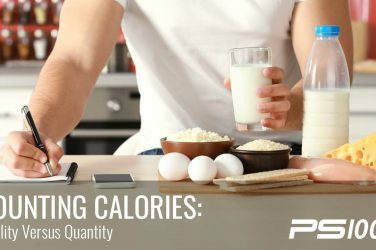 Therefore, eating a diet that is higher in protein can naturally make you eat fewer overall calories. Because protein affects our hormones in the above-mentioned way, your appetite is naturally suppressed. There’s been a lot of debate as to whether a low fat or low carb diet is best for weight loss, but not as much discussion as to where a high protein diet fits in. Several studies show that eating protein works to reduce appetite and boost weight loss (3), ideally alongside plenty of healthy fat and the majority of your carbs coming from veggies and fruits. The thermic effect of foods have to do with how various foods impact/rev our metabolism. It is the amount of energy (calories) we expend over our RMR (resting metabolic rate) in order to process a particular food. The thermic effect of fats is around 0-3%, carbohydrates are between 5 and 15%, protein’s thermic effect from 20-35% (4)! That’s a huge difference when it comes to burning calories and weight loss. 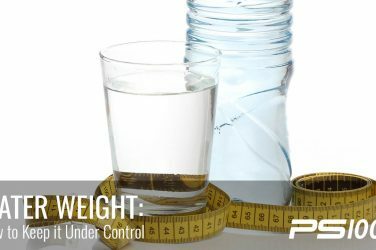 Cravings and late night snacking can be detrimental for weight loss. One study found that eating 25% of dietary calories from protein cut cravings by a whopping 60% and cut the desire for late night eating in half (5). Particularly eating a high protein breakfast has been found to help curb cravings throughout the entire day, so consider starting your day with eggs instead of cereal, for example. Enough healthy fat is important too, so pair those eggs with some avocado. How Much Protein Should I Eat For Weight Loss? While this does really depend on the person and individual factors (as discussed above), there are some basic guidelines. In terms of grams of protein, be sure you are judging your protein foods on their actual protein content in grams, not the total grams of the food, itself. For example, an egg offers 7 grams of protein, even though 1 large egg weighs roughly 100 grams (6). If you do not need to gain or lose weight and are not particularly active, you are probably fine following the DRI guidelines of .36 grams per pound of body weight for women (45-75 grams/day), and .6 grams for men (55-90 grams/day). But again, many nutritionists see this as eating just enough to prevent deficiency, and increasing your intake is often needed for optimal health and weight loss. Increasing intake to 25-30% of your daily calorie intake is ideal. Be sure to eat plenty of fresh vegetables and fruits along with this higher protein diet, ideally 5-9 servings of vegetables per day (1 cup raw or 2 cups cooked=1 serving). Make sure to eat plenty of alkalizing vegetables to balance out the acidity of eating protein foods. 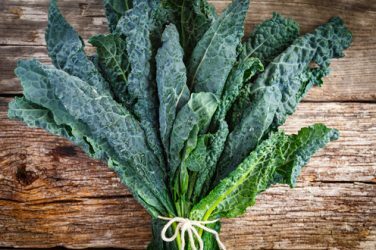 Think lots of dark, leafy greens like as spinach, kale, arugula, collard greens and swiss chard. Getting at least half of your plate filled with veggies (and moderate, fresh fruit) is a great goal to shoot for.